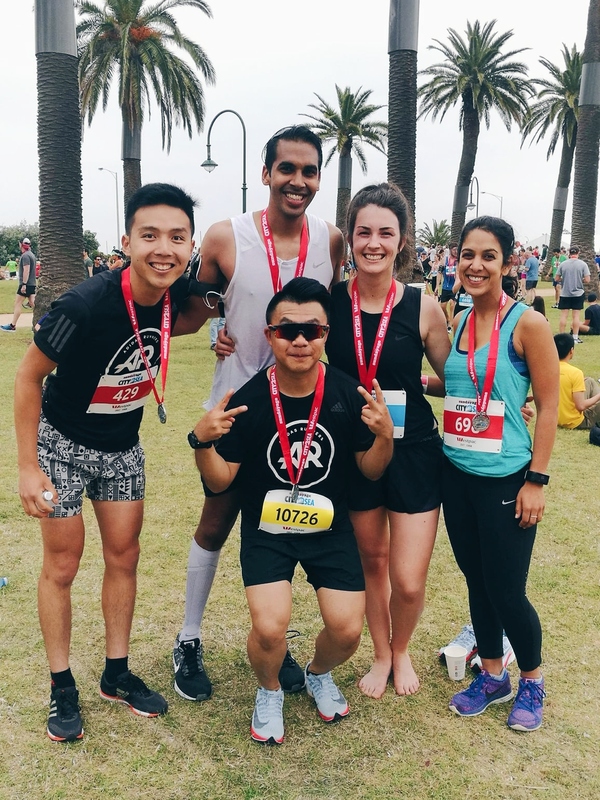 Race Review: City2Sea Melbourne 2017 [15km] (by Simply Bryan) | JustRunLah! The lead up to City2Sea Melbourne was an interesting one for me. I totally forgot to condition for this middle distance race. 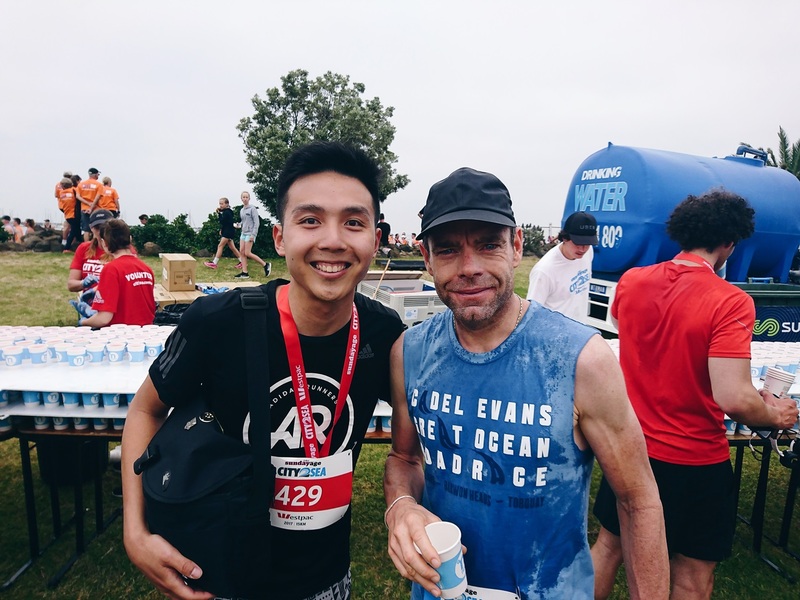 The last time I ran 15km or further was the Sydney Blackmore’s HM in September where I bumped into some members of the F1 Runner’s team. Also, I became a pacer for the newly formed Adidas Runners Melbourne crew last week which was delightful news in the lead up to this run. Although Adidas is a major sponsor of City2Sea, I have no intention to promote the brand and any of its products. 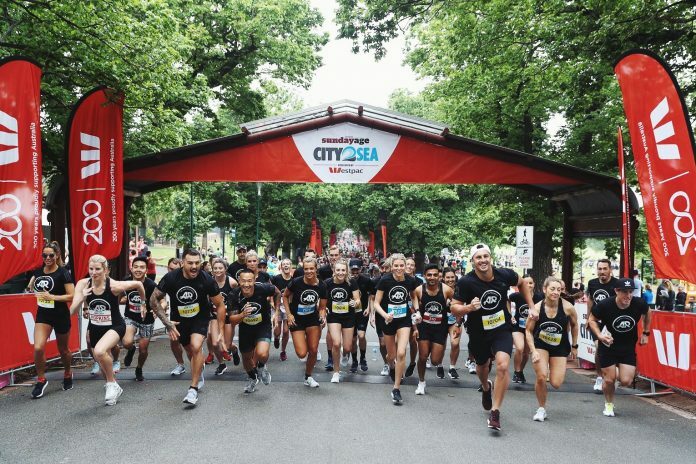 The City2Sea race is the last of the ‘City’ series nationwide, including City to Surf in Sydney and City to Bay in Adelaide among others. Fortunately, Melbourne’s weather was forecasted to be pleasant. And so it was! Conditions pre-race were slightly humid but cool with close to no wind. Despite the 8.20am start, bag drop closed at 7.15am as the bags were transported to the finish line down at St Kilda Beach – hence the name City2Sea. The starting chutes were fantastically organised, with an intersection of 4 large footpaths segregating the start line, sub 75 minute (5:00/km) pre-qualifiers, general entry runners and general entry walkers/joggers. Preferred starters (sub 59 minute for male (<3:55/km) and seeded invitational athletes stand at the start line. When the gun went off, elite, preferred and pre-qualifying runners ran in order. The other two categories saw a 10 minute staggered start at 8.30am and 8.40am. The race began with a short flat before a pleasant 300m or so descent and I was able to cruise down it into Melbourne CBD. From there the run was moderately flat albeit a looping descent and climb under St Kilda Road to join the opposite lane of traffic and a suffering crest around the 13km mark. Running down St Kilda Road was a challenge as it was either mildly descending or ascending. Basically it was hard to gauge what was a sustainable effort with the false flats. A 5km loop around Albert Park lake followed after the first half of the run down St Kilda Road. Its usually very windy there most days of the week but I think we only experienced some mild crosswinds on the way back around the lake. Then came the killer crest that almost sucked the air out of my lungs! But a little determination from my fellow pacer from Adidas Runners Sydney pulling away from me hit me hard and I managed to raise my pace to finish the last km in 3:39. But he still finished a nice 7 seconds ahead. I couldn’t be happier with my finishing time of 59:12 as I was doubtful I would even break 60 minutes given the last few weeks of not-so-frequent training. But oh so close! 12 seconds off a preferred start spot. I’ll be working hard all of next year to dip under the magical number 59. The only negative thing I could say about the event was the Km markings. They were not evenly spread out or accurate, and were made even more confusing with the 5km race markers thrown in between. Imagine seeing 5km and thinking I’m one third there, only to see the 2km marker 500m down the road and go HUH? But its a mental trainer and I am appreciative of it. I was tracking at 40 seconds below target time (60 minutes) at 5km and 10km splits but at the 14km mark my watch read 56 minutes which was extremely alarming as I was running a steady pace expecting to see 55:20 or something similar. And no way I did that last km in 3:12… So that’s probably the prime example of a really misleading marker. Post race was pretty good. The finishing line and event village were spacious and well organised. And what a surprise, meeting Cadel Evans (2011 Tour De France champion) at medal collection/drinks area. Post race social is the best, especially when your mates are awesome and it’s by the beach. What a splendid way to spend a Sunday morning. I’m looking forward to the next run already! Stay tuned to some back dated race reviews I hope to find time to do soon.